This year (2018) is an election year for the EOS Board and there are four seats to be filled. We invite all EOS members to vote on the election. The election will be held during 15 June – 15 August, 2018. Each EOS member is entitled to vote up 4 candidates for the Board. We urge you to take advantage of this opportunity to vote for candidates for the Board during the summer. Each EOS member will receive an email with a link to vote on 15 June 2018, from Opavote. The vote can only be cast once. Read EOS Newsletter for May here. Read EOS Newsletter for April here. Read EOS Newsletter for March here. Read EOS Newsletter for February here. Download call for nominations here. We invite all EOS members to nominate candidates for election to the Board. Nominations may be made either by letter or by e-mail. If by letter, this must be signed by three EOS members (not including the person nominated). A letter from the person nominated, accepting the nomination, must also be enclosed (or sent separately). If by e-mail, each of the three EOS members supporting the nomination must send in a separate e-mail indicating their support for the candidate. (This is important, as the receipt of three separate e-mails is being accepted in lieu of signatures.) In addition, the person nominated must send an e-mail accepting the nomination. Contact details for both letters and e-mails are given below. Please note that all four people involved (candidate and three supporters) must be members (Full or Associate) of EOS. Each EOS member is entitled to nominate up to three candidates for election to the Board. There is no rule to prevent the same three people nominating more than one candidate. We urge you to take advantage of this opportunity to nominate candidates for the election later this year. Bertolotti, Mario (Italy) and Reed, Graham (UK) are eligible to stand for re-election, but must be nominated in the usual way. Nominations close on 31 March 2018, but it will assist the election organizers if you send your nominations in as soon as possible. It was with great sadness that we learned the passing of our dear colleague and friend Professor Valentin Vlad on 24 December 2017, in Bucharest. Valentin was the President of the Romanian Academy of Science. As an engineer and scientist, he achieved an international recognition for his research in information processing, holography and interferometry. Valentin performed his studies in Bucharest and Paris during 1961-1970. After graduation he started his research at the Institute of Atomic Physics in Bucharest, in the "Optical Methods in Nuclear Physics" Laboratory, where he made the first solid active laser in Romania 1968, (together with G. Nemes) and where he was certified as scientific researcher. He maintained positions as professor in several universities, set up and lead several laboratories, and upheld a wide network of colleagues around the world. Valentin had a very endearing personality and was very approachable which was facilitated by his perfect knowledge of Romanian, English, French, German, Russian and Italian. The dialogues with him were often illustrated by cultural references demonstrating his sincere interest in the country of his interlocutor. He used his social and scientific skills in promoting the Romanian scientific culture with a spirit of collaboration and exchange. Valentin indeed travelled a lot and spent multiple research stays in laboratories. Valentin was also deeply involved in the European Optical Society and contributed to its development. 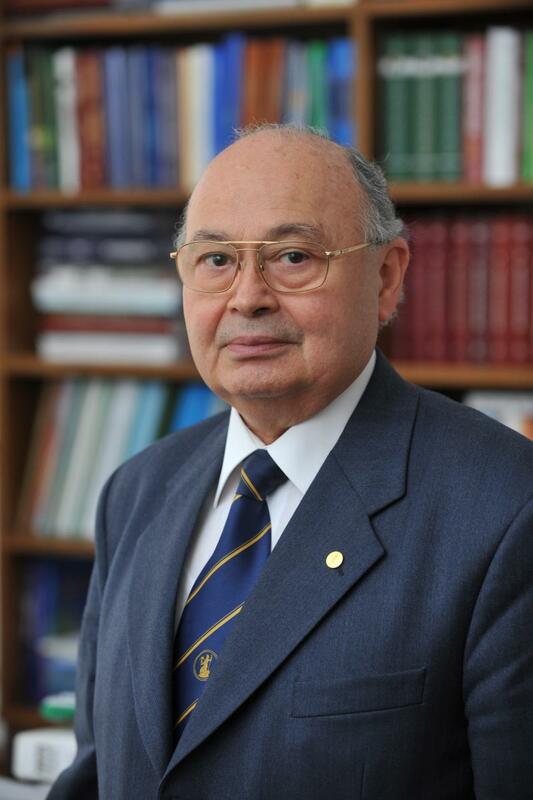 He was the bridge between EOS and the Romanian Optical Society, and member of the Board of EOS on behalf of the Romanian Optical Society, a position which he has held until he passed away. In 2011 he became chair of the Scientific Advisory Committee, and entered the Executive Committee of EOS; two duties he carried out until last year. He also contributed to the revival of the Industrial Advisory Committee of EOS. In his support to EOS, from 1998 and 2006, Valentin acted as an editorial member of the first EOS Journal “Journal of Optics A: Pure and Applied Optics” in 1998. In 2006 he entered the Editorial board of the new EOS Journal, the “Journal of EOS: Rapid Publication”, a responsibility he never left. Valentin was the ambassador of the Romanian culture and a dedicated promoter of EOS. We miss him. The current Editor-in-Chief of JEOS-RP will retire at the end of 2017. The European Optical Society (EOS) is searching for a new Editor-in-Chief, whose tenure wil start on January 1st, 2018. EOS seeks to appoint a dynamic person with fresh ideas to develop JEOS-RP together with the publishing partner Springer Nature. JEOS-RP offers a nice position to oversee the full spectrum of research in the field of optics and photonics. The Editor-in-Chief has two co-editors and about 40 associate editors which is an asset regarding rapid publication of articles. Prof. Pavel Tománek, an EOS Member and long-term contributor to the society, a member of the Scientific Advisory Committee, died May 30, 2017. Prof. Tománek was a renowned specialist in the field of photonics, optoelectronics, and nanotechnology, and acted as a researcher and professor of Applied Physics at the Faculty of Electrical Engineering and Communication of the Brno University of Technology, Brno, Czech Republic. He was an author of hundreds of research papers and textbooks, also having completed long-term internships in Algeria and France, where he also lectured. 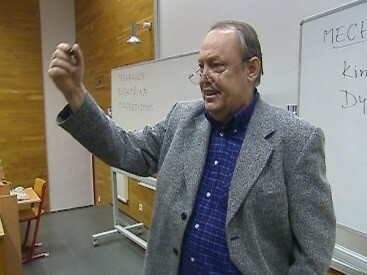 Prof. Tománek co-organized many scientific conferences around the world, from Japan to the United States. He was enthusiastically involved in the LIGHT2015 project, where EOS, together with national optical societies, organized over 30 events around Europe. The United Nations invites all Member States including academia, individuals and society in general, to observe the International Day of Women and Girls in Science to promote the full and equal participation of women and girls in education, training, employment and decision-making processes in the sciences. The initiative is based on the belief that a broad knowledge of the work of women scientists, past and present, will produce role models for future women researchers and hence will help close the persistent gender gap in science. The role of the February 11 Initiative is to promote the organisation of activities for students and for the general public and to publicise them. The result of the 2016 Election to the Board of the European Optical Society is that the five people named below are hereby elected to the Board. Because we had five candidates for five positions, no voting was needed. The Election Officer, on behalf of the President and Executive Committee of the European Optical Society, would like to thank all the candidates for their election.